Stephino Olajwon Hudson Killed in Pedestrian Hit and Run Car Accident; Justice for the Family? 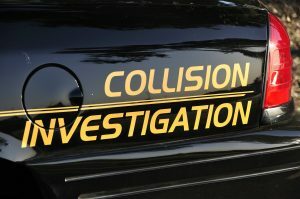 A pedestrian accident claimed the life of a man early Sunday morning, March 31, 2019. According to WCTV.tv, “[t]he call came in around 4 a.m. Sunday for a report of a pedestrian hit near the intersection of US Highway 19 and Old Georgia Highway 3.” The news story reports that “GSP found the pedestrian, 24-year-old Stephino Olajwon Hudson, deceased at the scene.” WCTV.tv reports that “[w]itnesses say the pedestrian was walking in the roadway when a driver in a silver Dodge Charger struck him and drove off.” A vehicle matching the description was later found and “GSP, Thomasville Police and the Thomas County Sheriff’s Office located the suspected driver…in a motel room and took him into custody without incident,” according to WCTV.tv. The investigation is ongoing according to media report. As the details of this tragedy continue to develop, and if the driver is found to be at fault, Stephino Olajwon Hudson’s family may elect to file civil claims for their loss. Based upon its experience and success handling pedestrian accident cases, The Murray Law Firm suggests that Mr. Hudson’s family should retain an experienced personal injury firm to protect their interests and ensure an unbiased investigation. Photographs of the vehicles and roadways involved and a review of traffic surveillance footage will need to be performed immediately before any evidence is damaged or destroyed.